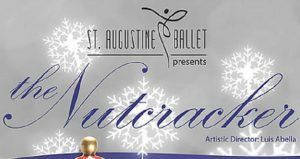 Join the St. Augustine Ballet when they present a Holiday favorite, the Nutcracker. Performances are at 1:30pm and 7:00pm on December 22 & 23, 2018. Ticket prices are $25.00, $30.00, and $35.00 and can be purchased by clicking on the event website link.